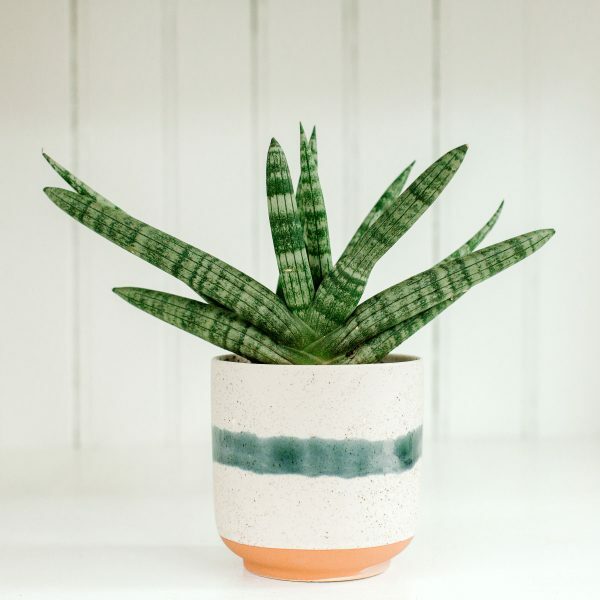 The easy growing, low light loving Starfish Snake Plant in a green striped ceramic planter. 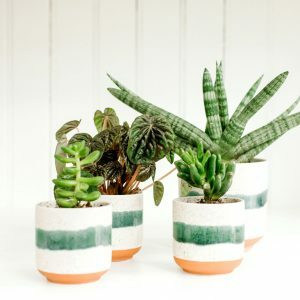 Snake Plants are low maintenance and can grow in indirect to no light conditions. 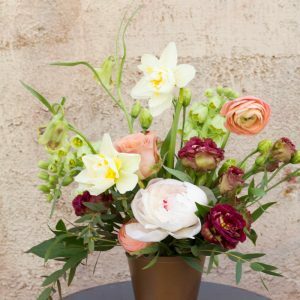 Watering – Give the plant a thorough soaking once every 2 to 3 weeks. Snake Plants need to be dry before watering. Light – Indirect light to no light. Measurements – Plant is in a 4.25 by 4.5″ pot.